In 2004, I had the privilege of working as a translator for a group of physicians on a medical mission in the highlands of Guatemala. During that trip, a man in a wheelchair thanked me because the surgeon from Dallas was going to give him two prosthetic legs. Another man who had suffered from cataracts shared with me how grateful he was because he again could be useful to his family. I realized the surgeon, my client and dear friend, not only saved his sight, but gave him his life. 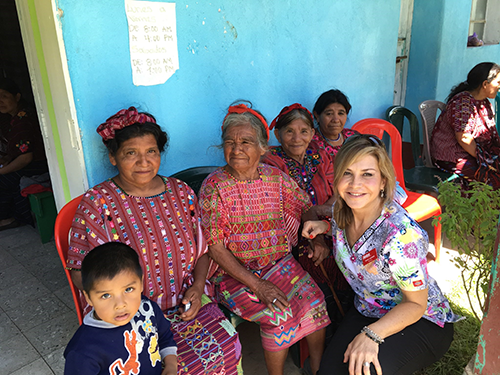 Based on that experience, I made the decision to align my purpose and passion to help fight the healthcare crisis in rural areas of Latin America with my career as a wealth management advisor. I am passionate about working with medical professionals – surgeons, doctors, dentists and nurses – and sharing with you my expertise in helping to protect, grow and manage their wealth. And I ask medical professionals, in exchange for my expertise, to be open to donating a week of their lives to help the poorest in the world. I have worked extensively with physicians, dentists and other medical professionals and have insights into the unique financial planning issues you confront – including how to balance eliminating student debt while saving to buy a house, send children to college and plan to retire. And, the risks of disability and how to protect oneself. I can help you to plan for your professional goals, fulfill your personal goals and achieve financial independence and freedom. Whether you are in medical or dental school, doing your residency, thinking about retirement – as a physician or dentist, you have unique needs as you plan for your financial future. You've spent a long time in school and training, so your earning years have started later than others your age. You likely have higher-than-average amount of student debt. Given the demands of your job, you probably don't have much free time to devote to dealing with your personal finances. You need individualized recommendations based on your personal needs and goals. And you need advisors who have experience working with medical professionals. Below are highlights of things to consider as you manage financial milestones throughout your career. Budgeting - Tracking and controlling your spending helps address some of the challenges of paying off debt while enjoying the fruits of your labor. A good rule of thumb is to put 20% of your earnings in savings and investing, use 60% for essential expenses, and 20% for discretionary expenses. Emergency Fund – Be prepared for unexpected expenses. An emergency fund is part of the 20% of earnings you should save. Having three to six months of expenses in an account should be a top priority. Student Loan Repayment – It's important to select a repayment option that's right for you, such as the Public Service Loan Forgiveness. You can refer to the American Association of Medical Colleges guide for tips on repayments plans, deferment and forbearance options and forgiveness programs. Pay Down Debt and Build Good Credit – If you have debt, prioritize payments to pay off debt with the highest interest rate first. Make sure to make payments on time to preserve good credit. And check your credit score regularly – a good score will help you down the road. Protect Your Paycheck – Injury or illness could limit your ability to practice medicine or dentistry. Check your employer's disability income insurance coverage. It may cover only a portion of what you earn if you became sick or injured. Supplemental insurance options specifically for medical professionals are available. Be sure to update your coverage as you grow in your practice. And be sure you understand how the policy defines total and partial disability. Save and invest – Financial independence and retirement planning are most successful when you start saving early, even while you are in training. If your employer offers to match a percentage of your retirement savings contributions, contribute enough to obtain the maximum employer match. And explore other retirement vehicles to maximize your taxable assets while saving for retirement. Legal Support – An attorney brings expertise regarding protecting your assets against malpractice or liability claims; can review your employment contract (looking at liability and malpractice coverage needs, deferred compensation, exiting options); maximize your tax planning; and develop an estate plan, including how the plan will evolve as your income increases. College Savings – You know the value of a good education, and the cost of getting one. If paying for a child's education is a priority, start saving early. Here are some resources you may find of interest. Physicians and dentists have unique needs for disability insurance coverage. I look forward to the opportunity to help you achieve your personal and professional goals as we make this world a better place. The Million Dollar Round Table (MDRT) has awarded me a total of $15,000 in grants to support my work in the fight against poverty and to provide medical care in underdeveloped countries, MDRT The Premier Association of Financial Professionals®, is a global, independent association of more than 42,000 of the world's leading life insurance and financial services professionals from more than 470 companies in 71 countries. 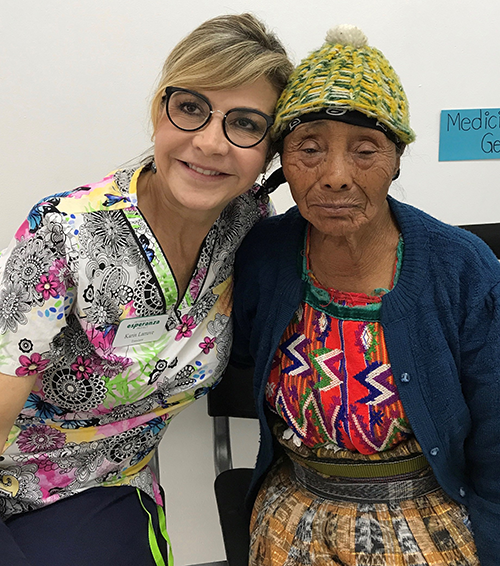 I'm so inspired to have worked with a team of 120 physicians and medical professionals to provide medical treatment to people of Chimaltenango, Guatemala. Led by my friend and client, Dr. Corona, in four days we saw 1,500 patients and completed 144 surgeries. Thanks to the International Esperanza Project for organizing the missions and providing this opportunity. Our lives are enriched as volunteers and the people of the village have new hope.